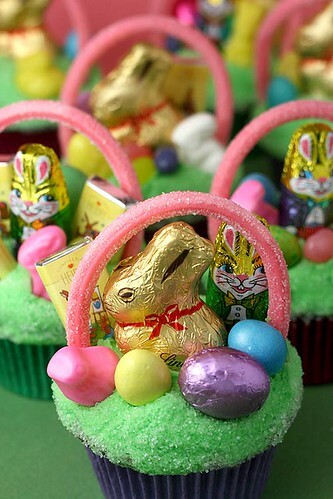 Mini Easter Basket Cupcakes, originally uploaded by Bakerella. Could you please tell me what you used to make the ‘pink’ handles on the cupcakes (mini easter basket cupcakes). Thank you! The handles look like watermelon or strawberry sour straws (Sour powers).